Yep. 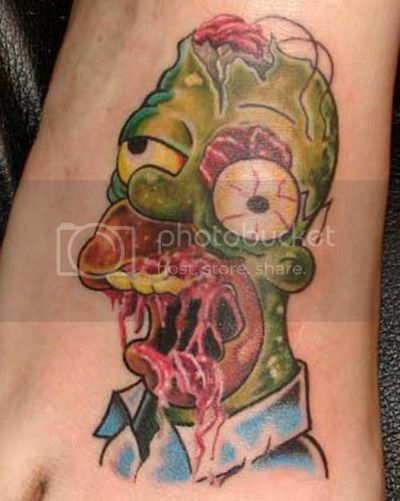 A zombie Homer Simpson tattoo. And here you thought you were going to get through the day without my showing you something really horrible. Don’t blame me, blame humanity’s endless potential for doing really, really stupid things. Via Joanne Casey, who blames me anyway, because humanity isn’t answering its phone.